HP 14 D106TX NEW | Core i5 / 2.5 / 4 / 500 / 2 GB / DOS / 14"
Perform all your tasks at higher speed and great accuracy with all new HP 14 D106TX laptop. This power laptop is designed to give a powerful machine to the user at very reasonable price. Stylish looks, powerful processor, crisp and vivid graphics, these are some of the attributes of this powerful machine. 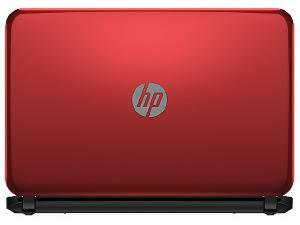 HP 14 D106TX come equipped with 4th Gen Intel Core i5 processor which can clock up to 2.5GHz at the top of performance. Do one thing at a time? No way, with this powerful processor and 4GB working memory you can work on multiple software and applications in one time. That’s why this laptop is ideal for multi tasking. You will have the freedom of storage with 500GB hard disk. You will have all your data stored in one place. Its 14" HD WLED display the most crisp and vivid graphics ever. With TrueLife technology you will get lost in this stunning 1366x768 resolution, even in poorly lit situations. All this is possible with 2 GB dedicated NVIDIA GeForce 820M graphics adapter. It is also equipped with Touchpad with Multi-Touch Gesture support to make your tasks easy.